"Sabotage of Hitler's ingenious weapons of mass destruction...the V1 and V2 rockets!" 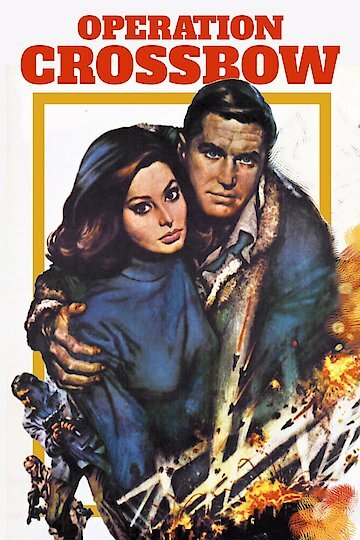 Operation Crossbow is a drama action film that was released in 1965. The film involves a group of three soldiers who go into Nazi held Europe in order to destroy that rocket facility that is sending the terrible German V-1 to destroy London. The group manages to pose as a group of Nazi sympathizers as they infiltrate the base. Operation Crossbow is currently available to watch and stream, buy on demand at Amazon, Vudu, Google Play, FandangoNow, iTunes, YouTube VOD online.